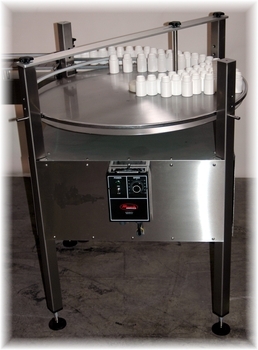 Sterling Change Parts will design and build the correct bi-flow bottle accumulation system for your project. 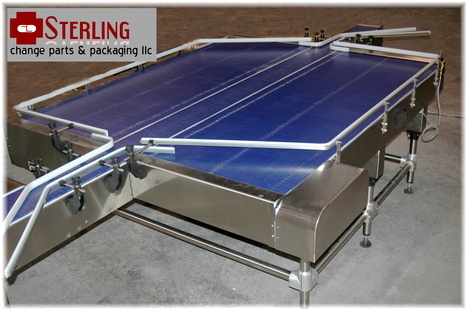 Sterling Change Parts Manufactures Rotary Unscrambling Tables Accumulaters and End of Line Pack Off Tables in 36" and 48" diameter designs. Each Table is manufactured with a 5/8" aluminum main plate to maintain flatness and rigidity even with heavy bottles.